Bank Holidays and long weekends mean two things for me – mega lie-ins and making amazingly delicious breakfasts or, by the time I’ve got up, brunch or a late lunch. 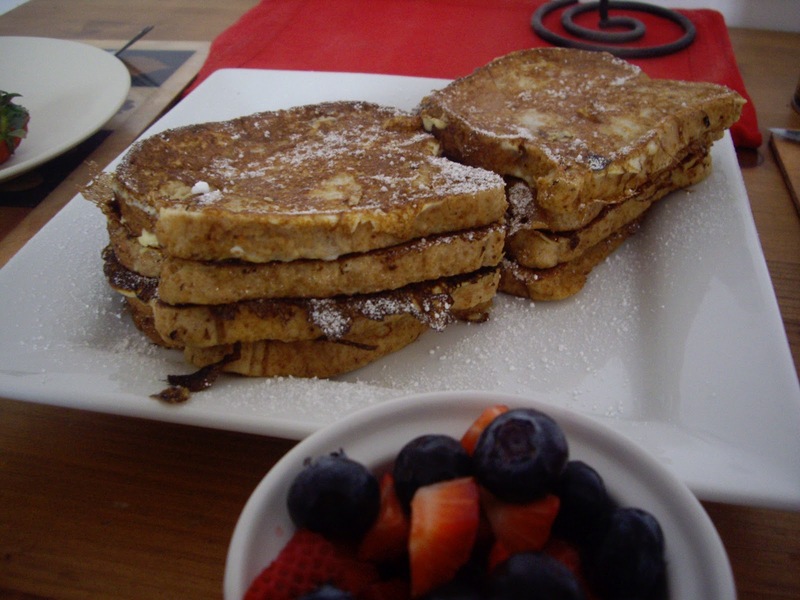 Below are some of my favourite long weekend breakfasts – perfect to share with friends and all taste even better with a bottle of champagne or sparkling wine! The perfect breakfast in bed treat. Whisk the eggs and milk together in a large mixing bowl. Once well mixed soak one slice of bread in the mixture. Heat a knob of butter in a frying pan over a low to medium heat. Once melted, fry the eggy bread on both sides. Turn the oven on to a low heat and put all slices of eggy bread on a plate to keep warm while you make the rest of the batch. For those with a sweet tooth, top with icing sugar and maple syrup and serve with strawberries. Bacon also makes a great topping if you’re looking for something more savoury. 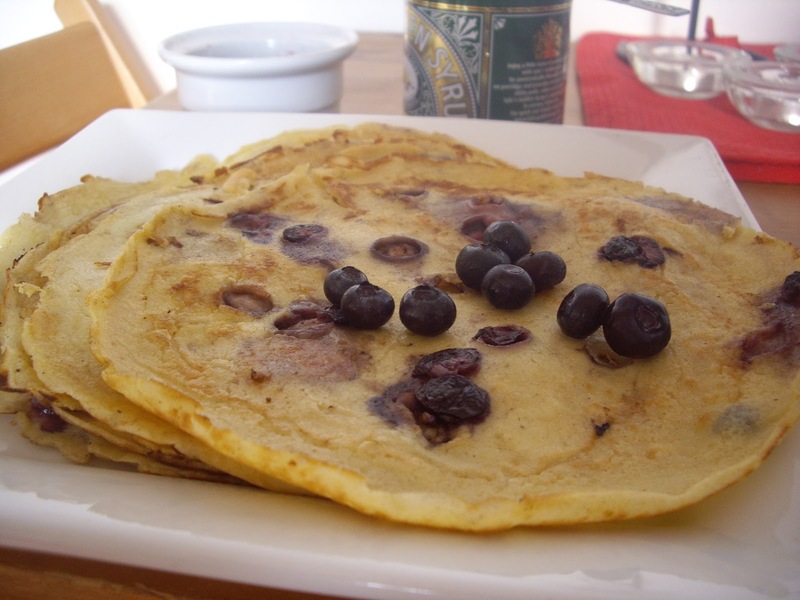 Pancakes are another favourite of mine to make at weekends and blueberries are SO good for you. They do take a while but are so much fun to make and flip with friends. Chop up a large handful of blueberries and mix in with the pancake mix and then fry and flip. The ideal winter warmer to snuggle up in bed with, start the day with some delicious homemade Farmhouse porridge. Porridge Lady has a great blog for porridge fans like myself with a fantastic range of unique and adventurous serving suggestions and recipes. Last Christmas I broke up Ferrero Rocher chocolates into small chunks and mixed in with the warm porridge which melted the chocolate and was soooo delicious. More normal suggestions for sugar lovers include golden syrup, sultanas and honey. Add a fruity kick by mixing in chopped berries, bananas, apples or pineapple chunks.. If you’re staying away from dairy products use lemon, apple or orange juices as a replacement to milk. Heat the juice or pulp of one lemon or orange into a pan and slowly add the oats, making sure you get the right juice to oats consistency. The oats will soften and bind just as if they were mixing with milk. 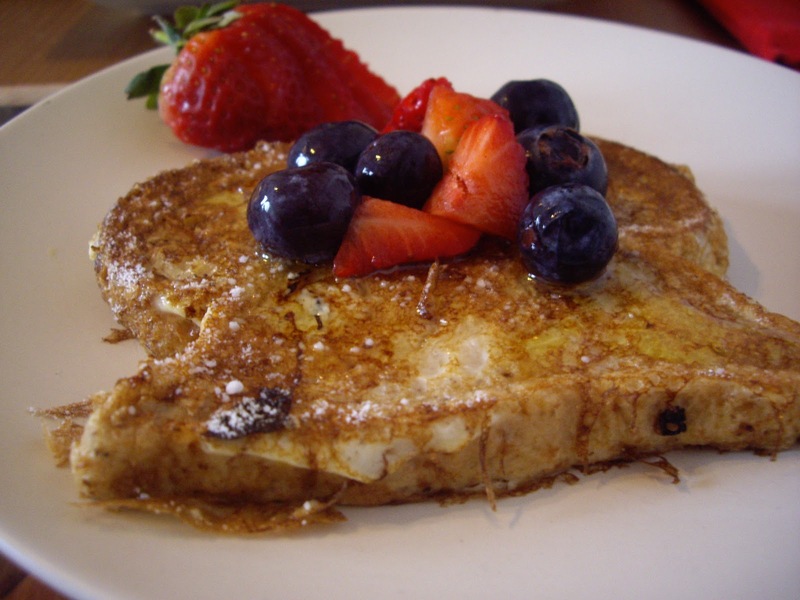 This recipe is zingy and instantly wakes me up in the morning. A long weekend usually results in at least one messy night out and what’s the perfect cure for the morning after? A huge fry-up! This MUST include the works (including hash browns, black pudding, sausages AND bacon) and the meat has to be the best quality, ideally from a local butcher. Mmmmmmmm – enjoy and HAPPY NEW YEAR! It was the night before Christmas………! So, what better way to get in the festive spirit than by hitting the kitchen and cooking up some good old Mince Pies. From November, mince pies take over the supermarket shelves throughout Britain but nothing compares to making them yourself and they can be surprisingly easy and quick to make. Turn up the Christmas tunes and pour yourself a glass of mulled wine and get cooking some mince pies for Santa. The shortcrust pastry is the part that can be most time consuming. I prefer to make my own pastry although you can get some ready-made in all supermarkets now. The Londoner has a great, easy to follow shortcrust pastry recipe – the key is to keep it as cool as possible while you are making it. Once you have your pastry, roll it out thin and use circle cutters to create the mince pie bases – you can use a wine bottle if you don’t have a rolling pin and a wine glass to cut the circle shapes. Place each circle into a mince pie or shallow cupcake tin which has been greased with a little bit of butter. Cut smaller circles or star shapes with the remaining pastry and place them on top of the cases and seal the edges together. Create an enticing glaze on your mince pies by brushing the tops with a beaten egg and don’t forget to pierce two small holes in the top to prevent them from exploding in the oven. Then sprinkle over some caster sugar and place in the oven at 200 C for around 10 minutes or until golden brown. Leave them to cool on a wire rack and then you’re ready to start the Mighty Mince Pie Challenge! For those that can’t quite meet the challenge, they can be stored in a sealed tin for a few days. Don’t forget to leave a mince pie and glass of sherry for Santa tonight! Easy to make, this cream-filled cake doesn’t have to be used at Christmas time – cover it in smarties and colourful icing and it can become a catepillar birthday cake! Whisk together the sugar and eggs for around 15 minutes, until the mixture has thickened. In a separate bowl sieve the flour and cocoa powder together and add 1 teaspoon of vanilla extract and fold this in to the egg mixture. Pour this mixture into a rectangle baking tray and cook for 10 minutes, until light and springy to touch. Place a large piece of greaseproof paper on a worktop and sprinkle with caster sugar. Once the sponge has cooled, remove from the baking tin and place on the greaseproof paper. Peel off the baking paper and roll the sponge, using the paper – this will set the shape of the dessert. Leave the sponge like this as you prepare the filling. Whip the cream until it holds its shape. Roll the sponge out and spread the cream over it and roll back again – this time without the paper. The topping can be tricky to make as it takes ages to set. Break the dark chocolate pieces into a glass bowl. On the hob, boil the caster sugar and 200ml of water for two minutes. Add the mixture to the chocolate and whisk well. Once it begins to thicken spread over the roll and leave in the fridge to set. If you have difficulty making the ganache thicker, use icing sugar. I keep some extra ganache aside and heat it up when I served the log to pour over the top. Add some holly and icing sugar to the top.